Rajasthan Congress president Sachin Pilot today condemned the alleged insult to the national flag during an event at SMS stadium here yesterday. JAIPUR: Rajasthan Congress president Sachin Pilot today condemned the alleged insult to the national flag during an event at SMS stadium here yesterday. The Congress leader alleged that the flags which were distributed to school children had no Ashoka Chakra, and held the state government responsible. 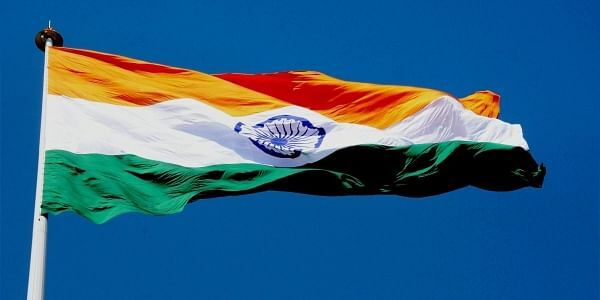 He alleged that the Rajasthan government had insulted the national flag and should tender an apology. Pilot also demanded legal action against those responsible. The event 'Vande Matram' was organised by the Rajasthan Youth Board, and the Hindu Spiritual and Service Foundation. It was attended by Union Minister Suresh Prabhu, state Higher Education Minister Kiran Maheshwari and MP Ram Charan Bohra.